Our Glutathione Boost is the “liquid gold” formula for helping to keep you bright and fresh. Its key ingredient is Glutathione, one of the most powerful antioxidants that functions to prevent damage to the cellular components in the human body. The Glutathione Booster is perfect after a night out where you have drunk a little bit too much or when you feel your skin is looking dull. 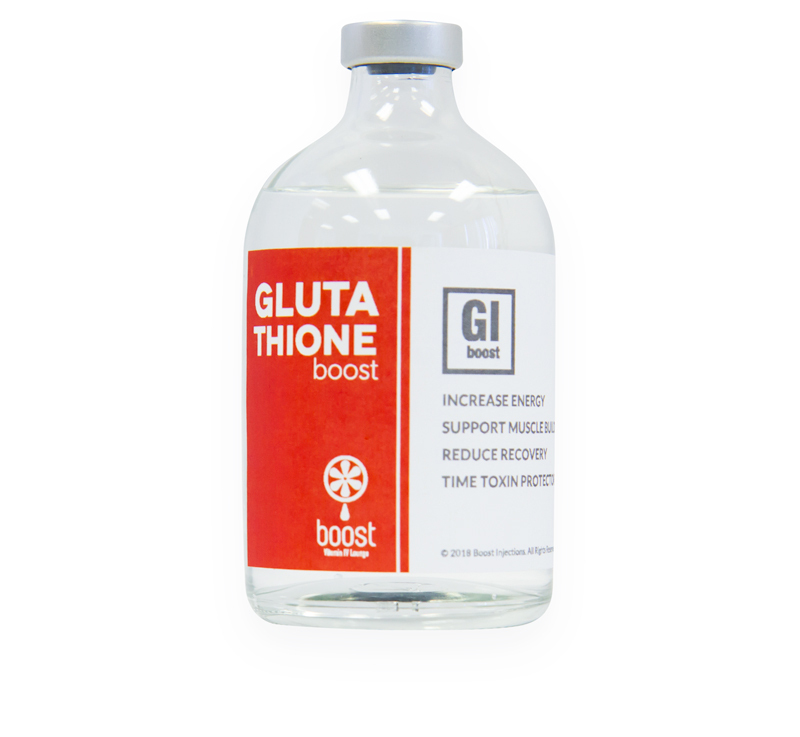 How Does the Glutathione Boost IM or IV Push Injection Work? The cells in our body already contain glutathione; it is a substance made from three amino acids: cysteine, glutamate, and glycine. Glutathione is essential to many processes, such as tissue building and repair, creating the proteins we need in our bodies, and to support the immune system. A Glutathione Boost keeps levels up in your body so that it can do its most important job: combat the free radicals in your body and prevent damage to cells. A: One booster takes only seconds to inject and will last you for up to one month. Q: What can I expect from an IV Push Injection Booster shot? A: IV Push delivers vitamins and nutrients to your body for maximum absorption by injecting intravenously. Usually this is followed by an IV drip through the existing IV site.